Here's Nick helps develop the English skills of Thai youth under the program "English Camps". -Filipino food he'd like to try are pancit and balut. -He used to be fat but after a break-up he decided to workout to get fit and to better himself. -Nick used his saving to moved to Bangkok. -He came to Bangkok on February 2018 and started freelance modeling on April of the same year. -He's a volunteer on "English Camp" program that help inspire kids to learn English through games. -His role model is Arnold Schwarzenegger. -Growing up in Germany he was bullied for being biracial. -The Asian countries he visited so far are Thailand and Cambodia. Next on his bucket list are Bali, Indonesia and Boracay, Philippines. -What makes you blush? Nick answered compliments. -Nick is open to the possibility of moving to Manila if opportunity comes, like modeling or acting. 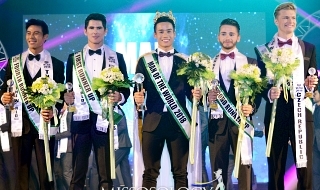 -Mister International title or Love? His answer is "Love". -His advice to your younger self: Don't waste your time, educate yourself and don't be scared. Don't stop and move forward. -The biggest challenge he faced so far is the death of his father. 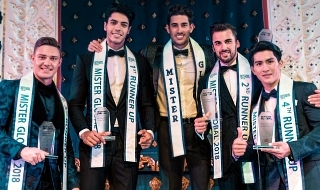 -He joined Mister International for experience and possible opportunities. He also believe that title can be use to do and give something good to others. Nick's guest appearance on "คุยแซ่บ Show"
Photos from Nick's guest appearance on "คุยแซ่บ Show". Nick's interview on GMM25 and ONE31 TV program. Youtube videos of Nick's guest appearance on "คุยแซ่บ Show". 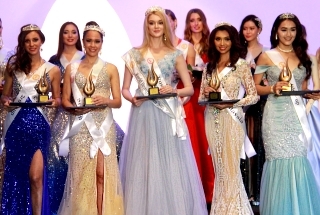 Nick Nolte claimed the number spot on Missosology's 13th Mister International First Hot Picks. Stop looking for reasons why you can’t, but the reasons why you can. The first transformation is from the 7. February 2014 (with around 90kg) till October 2018 (75kg). The second is from February 2014 till August 2016. I took the picture obviously after I just woke up. After I had a look on the picture I just took, I decided to change my life. So I did. At the same day my ex girlfriend kicked me out of her apartment and broke up with me. I am glad she did! So now I’ve got the time to hit the gym finally. Directly on the next day I signed up in the gym and started working out 4 till 6 times a week till today. To be honest, before I started working out, I was already super interested in Bodybuilding/Fitness and teaches myself everything about training and nutrition. So I was lucky that I got already the knowledge how to get the body I want. Many people ask me how I did it, what for supplements or training routine I use or what is the secret. Well, there is no secret, no special training plan or secret supplement. Since I started 5 years ago, I hit the gym consistently for 4 - 6 times per week without a break. There were days in my first years were I used pain killers to workout when I feel pain from football injuries for example. Also I hit the gym with crutches when my ankle and leg were injured. Of course I don’t recommend someone to do the same, this are just examples how obsessed I was, to change my body and life. At the same time my self-confidence increased, I feel healthy and take care of myself. My older me from 2014 and before was super shy, insecure and unhealthy. So when people tell me they also want a muscular body, a good physique or just want to be fit, I always answer: It’s really not a big deal. EVERYONE can do it, really everyone. The only question is which you should ask yourself: "HOW BAD DO YOU WANT IT?" My strongest attributes who helps me to be the version of myself I want to be, are WILLPOWER, CONSISTENCY & DISCIPLINE. In my opinion these are the most important attributes to be successful. Hard work beats talent - always. You can use these 3 attributes in every part of your life to be successful. Valentines Day greeting from Nick Nolte and Jeerawat V (Mister International Phitsanulok 2018). Besides modeling I am working as English Camp Teacher. What are we doing? We are traveling for 2-3 days with Thai schools to resorts around Bangkok. For example Khaoyai, Hua Hin, Rayong or Pattaya. Sometimes we do the English Camps directly at the school. We are not typical teachers. We try to inspire and motivate the kids to learn English on a funny way with group activities, games, sharing our personal experience, speeches or present them Exchange programs to study abroad. Another important mission we are telling them is that the kids should step forward, think by themselves and don’t follow a trend or other people. “Do what makes you happy, don’t be scared and take every opportunity!”. Honestly after the first camps I wasn’t sure if it’s the right thing for me and if I like it. But now - I love it! It’s a indescribable feeling when you’re standing in front of over 100 school kids, talk to them and they look at you with their shiny eyes. They give so much love! Last edited by xis on Sat Feb 16, 2019 7:03 pm, edited 1 time in total. Last edited by xis on Sat Feb 16, 2019 7:09 pm, edited 1 time in total. 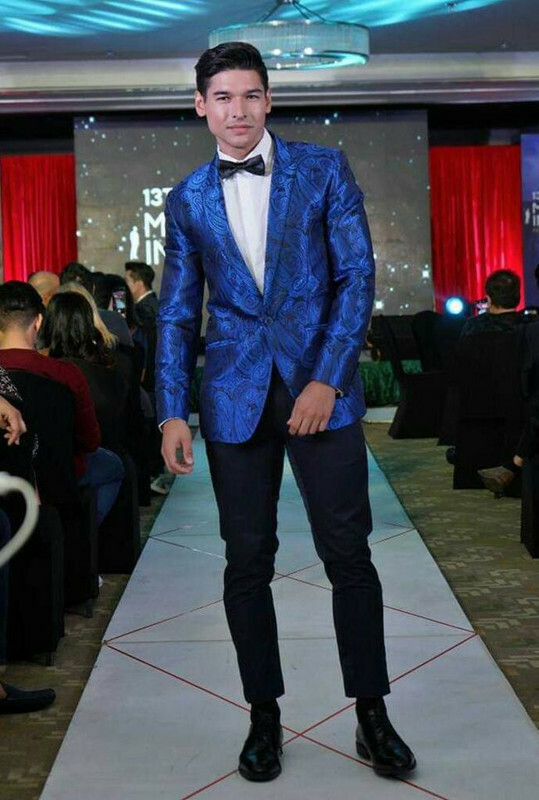 Nick during the 13th Mister International press conference and welcome dinner.